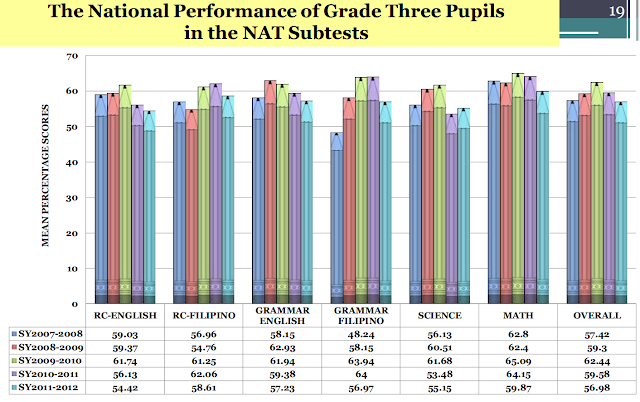 But in the same press release from DepEd, Bro.Armin admitted that these shortages will be solved infour years as well as the three primary components aimed at improving access and quality basic education in the country , namely improvement of teacher quality, enhancement of curriculum through the K to 12 program and achievement of set goals in addressing resource deficits. Notwithstanding the fact that if there is something that we do not lack, it is the number of enrolees, for it is steadily increasing. Yesterday’s school opening scenario confirmed our point. The gross shortages on teachers, classrooms, chairs, books and sanitation facilities were unmet. The highly unplanned K+12 bore a deficient curriculum and no extensive training for teachers were done. Some teachers paid from their own pockets for the reproduction of curriculum guides and partial modules prepared by the training team. Drastically, DepEd wanted to overhaul the basic and secondary curriculum by adding two more years without a law and budget to support it. 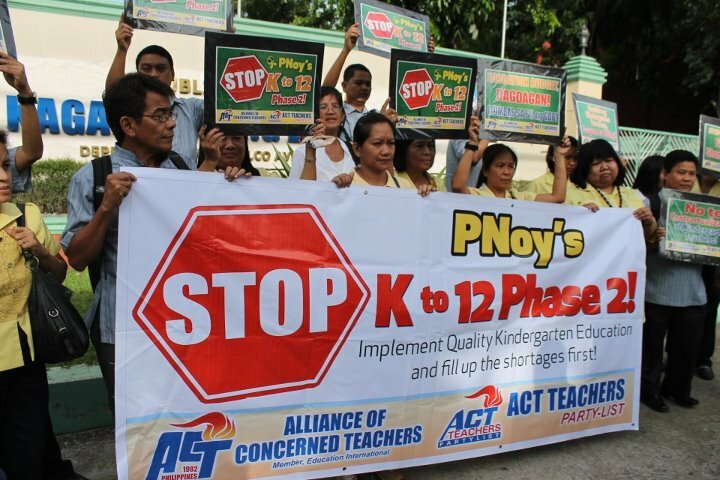 “The prevailing education crisis must be addressed more fundamentally and their K to 12 programs, PNoy’s supposed legacy to the Filipino people, would only exacerbate the situation, Ms France Castro, secretary-general of Alliance of Concerned Teachers (ACT) said. Our government’s resources for education have been found wanting and insufficient for the present 10-year cycle, how will it be able to afford a K+12 model? “A comprehensive review and planning is in order so that the reforms to be introduced in our education system will not be wasted,” Ms France Castro, stressed. This would only aggravate dependence on labor export that does not contribute to sustainable nation-building. What our country needs is to develop and educational system that caters to the Filipino youth and our society in general. The current crisis of our educational system stemmed not on the number of schooling years but rather on the conditions and foundation on which it subsists. ACT believes that to prioritize the implementation of quality kinder education and to address the shortages in basic inputs like teachers, classrooms, textbooks, chairs and sanitation facilities will be more substantive. More importantly, do not shortchange our teachers. 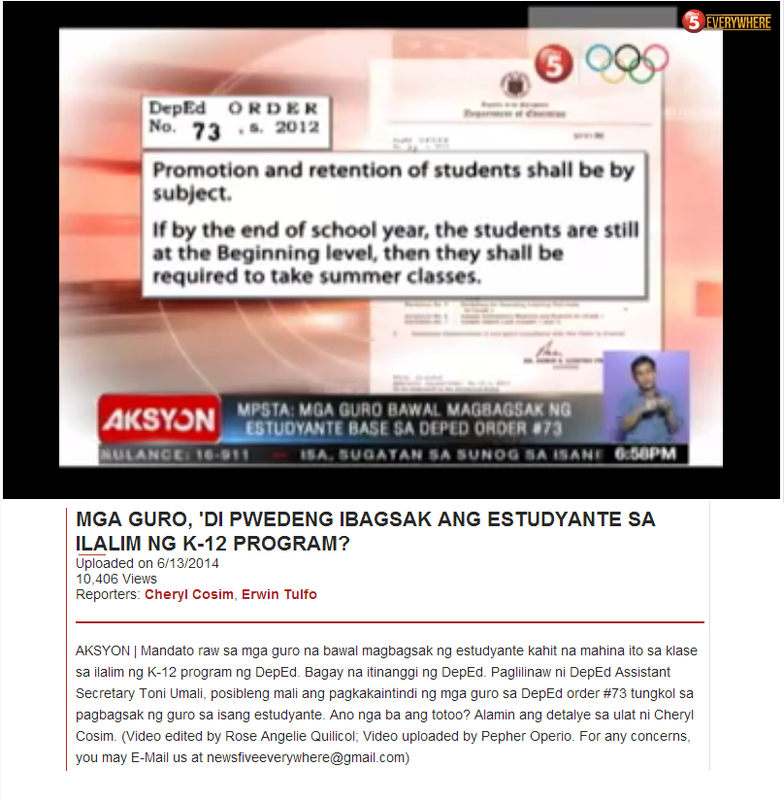 Teachers must be paid accordingly because contractualization is against the law. “Quality education could only be achieved if this government will have the political will to invest more in public school system, stop the predominance of a colonial curriculum, and develop science and technology for domestic development" ---Ms France Castro. Quality education could only be achieved if this government will have the political will to invest more in public school system, stop the predominance of a colonial curriculum, and develop science and technology for domestic development -- Ms France Castro.